Brazil, Sao Paulo, April 10th, 2018 – After reaching the important mark of 90 years of history and performance in the ammunition segment, consolidated and recognized as one of the major ammunition producers in the world, CBC recently reshaped the corporate structure for its multinational group and launched CBC Global Ammunition – the new holding for its member companies internationally active in the ammunition sector: CBC Brazil, Magtech Ammunition USA, MEN Germany and Sellier & Bellot Czech Republic. Together, this strategic alliance forms one of the largest ammunition corporation worldwide, with a combined experience of more than 300 years in the manufacturing of small and medium calibers. With an extensive range of products and serving a variety of segments, from military and law enforcement to sport shooting and hunting, CBC Global Ammunition has a presence in more than 130 countries on five continents, with an annual output of more than 1.7 billion rounds of ammunition – which are sold under some of the most respected brand names in the industry. On the Defense segment, the manufacturers within the group are among the main suppliers of small caliber ammunition to NATO and allied forces – being also the largest privately-owned manufacturer for .50 ammunition (12.7x99mm) in the world. CBC Global Ammunition has its headquarters and three production facilities in Brazil, two factories in Europe – MEN in Germany and Sellier & Bellot in Czech Republic – and one subsidiary in North America – Magtech Ammunition Company Inc, which acts as a master distributor to the US market for all the brands made by the group. 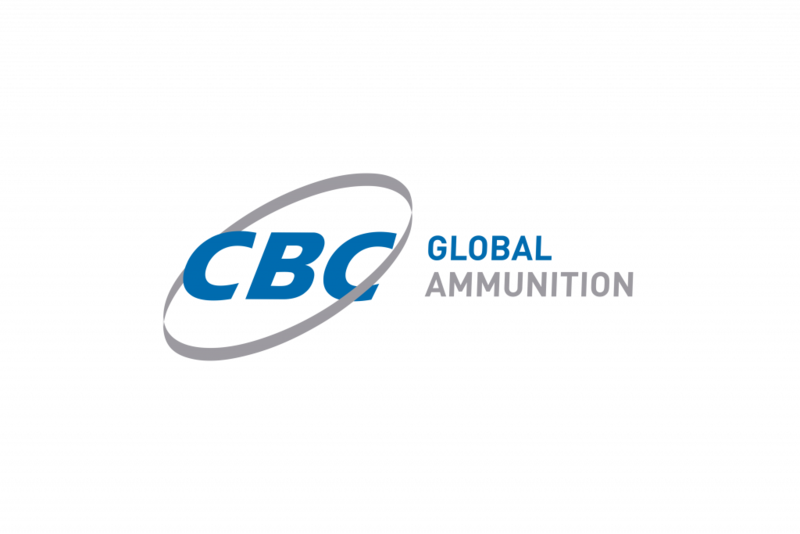 Together, the CBC Global Ammunition operations employ more than 3,500 skilled workers and proudly hold the status as the world leaders in ammunition for portable weapons. ®CBC Defense. All rights reserved. 2. Modifications of Site. User understands and agrees that CBC may discontinue or change the Site at any time, without notice. Also, User understands and agrees that CBC may discontinue or restrict User’s use of the Site for any reason without notice. User may not post any Content to forums, newsgroups, mail lists, electronic bulletin boards, or other web sites, without the prior written consent of CBC. Use of all Site Content is for non-commercial purposes only. CBC’s Content includes information, tips, facts, views, and opinions CBC deems worthy of publication. CBC does not give technical, business, or any other professional advice through or in connection with the site. 4. Trademarks. CBC Defense and other marks indicated on our site are registered trademarks of CBC and other graphics, logos, page headers, button icons, scripts, and service names are trademarks or trade dress of CBC. CBC trademarks and trade dress may not be used in connection with any product or service that is not licensed or approved by CBC, in any manner that is likely to cause confusion among customers, or in any manner that disparages or discredits CBC. Third party trademarks and all other trademarks not owned by CBC that appear on this site are the property of their respective owners, who may or may not be affiliated with, connected to, or sponsored by CBC. 5. Copyright Protection. All content displayed on the Site (“Content”), such as text, graphics, logos, button icons, images, audio clips, digital downloads, data compilations, and software, is the property of CBC or its content suppliers and protected by United States and international copyright and other intellectual property laws. The compilation of all content on this site is the exclusive property of CBC and protected by U.S. and international copyright laws. All software used on this site is the property of CBC or its software suppliers and protected by United States and international copyright laws. 6. Links to Other Sites. The Site contains hyperlinks to websites operated by third parties. These hyperlinks are provided for the benefit of the users of the Site. A hyperlink to a third party website does not imply that CBC endorses the content on or the business of the hyperlinked website. User is solely responsible for determining the integrity and reliability of the information on the hyperlinked website. Parties other than CBC operate stores, provide services, or sell product lines on their online store sites. We are not responsible for examining or evaluating, and we do not warrant the offerings of, any of these businesses or individuals or the content of their Web sites. CBC does not assume any responsibility or liability for the actions, product, and content of all these and any other third parties. You should carefully review their privacy statements and other conditions of use. 7. Product Descriptions. CBC attempts to be as accurate as possible. However, CBC does not warrant that product descriptions or other content of this site is accurate, complete, reliable, current, or error-free. If a product offered by CBC is not as described, your remedy is to return it to the retailer where the product was purchased. 8. Disclaimer of Warranties. Although CBC strives to provide high quality content, CBC does not guarantee or warrant the accuracy, completeness or timeliness of the Site Content. USER EXPRESSLY ACKNOWLEDGES AND AGREES THAT USE OF THE INFORMATION FROM THE SITE IS AT USER’S SOLE RISK. THE CONTENT IS PROVIDED ON AN “AS IS” AND “AS AVAILABLE” BASIS. CBC EXPRESSLY DISCLAIMS TO THE USER ALL WARRANTIES OF ANY KIND, WHETHER EXPRESS OR IMPLIED, INCLUDING, BUT NOT LIMITED TO THE IMPLIED WARRANTIES OF MERCHANTABILITY, FITNESS FOR A PARTICULAR PURPOSE AND NON-INFRINGEMENT. CBC MAKES NO WARRANTY THAT THE CONTENT WILL MEET USER’S REQUIREMENTS, OR THAT ACCESS TO THE SITE AND THE CONTENT WILL BE UNINTERRUPTED, TIMELY, SECURE, OR ERROR FREE; NOR DOES CBC MAKE ANY WARRANTY AS TO THE RESULTS THAT MAY BE OBTAINED FROM THE USE OF THE SERVICE OR AS TO THE ACCURACY OR RELIABILITY OF ANY CONTENT. USER UNDERSTANDS AND AGREES THAT ANY DOCUMENT AND/OR DATA DOWNLOADED OR OTHERWISE OBTAINED THROUGH THE USE OF THIS INFORMATION SERVICE IS DONE AT USER’S OWN DISCRETION AND RISK AND THAT USER IS SOLELY RESPONSIBLE FOR ANY DAMAGE TO USER’S COMPUTER SYSTEM OR LOSS OF DATA THAT RESULTS FROM THE DOWNLOAD OF SUCH MATERIAL AND/OR DATA. CBC MAKES NO WARRANTY REGARDING ANY INFORMATION OBTAINED FROM ANY HYPERLINKED THIRD PARTY SITE. NO INFORMATION OBTAINED BY USER FROM THE SITE SHALL CREATE ANY WARRANTY NOT EXPRESSLY MADE HEREIN. SOME JURISDICTIONS DO NOT ALLOW THE EXCLUSION OF CERTAIN WARRANTIES, SO SOME OF THE ABOVE EXCLUSIONS MAY NOT APPLY TO USER. 9. Limitation of Liability. BY USING THE SITE, USER IS AGREEING THAT UNDER NO CIRCUMSTANCE WILL CBC BE RESPONSIBLE FOR ANY INFORMATION CONTAINED IN, DISPLAYED ON OR OMITTED FROM THE SITE; ANY PERSON’S RELIANCE ON ANY SUCH INFORMATION, WHETHER OR NOT THE INFORMATION IS CORRECT, CURRENT OR COMPLETE; THE CONSEQUENCES OF ANY ACTION USER OR ANY OTHER PERSON TAKES OR FAILS TO TAKE BASED ON INFORMATION PROVIDED BY OR AS A RESULT OF THE USE OF THE SITE. USER SPECIFICALLY AGREES THAT CBC IS NOT LIABLE FOR ANY CONDUCT BY USER ASSOCIATED WITH THE SITE, INCLUDING, BUT NOT LIMITED TO, ACTIVITIES RELATING TO DATABASES, DIRECTORIES, COMMUNITIES, RESUMES, USER PROFILES, SURVEYS, CHAT ROOMS, MESSAGE BOARDS OR OTHER SERVICES CURRENTLY OFFERED OR THOSE SERVICES THAT WILL BE OFFERED IN THE FUTURE. IN NO EVENT SHALL CBC BE LIABLE FOR ANY INDIRECT, INCIDENTAL, SPECIAL OR CONSEQUENTIAL DAMAGES, RESULTING FROM THE USE OR THE INABILITY TO USE THE SITE, OR FROM ANY GOODS OR SERVICES PURCHASED OR OBTAINED OR MESSAGES RECEIVED OR TRANSACTIONS ENTERED INTO THROUGH THE SITE OR RESULTING FROM UNAUTHORIZED ACCESS TO OR ALTERATION OF TRANSMISSIONS OR DATA, INCLUDING BUT NOT LIMITED TO, DAMAGES FOR LOSS OF PROFITS, USE, DATA OR OTHER INTANGIBLE PROPERTY, EVEN IF CBC HAS BEEN ADVISED OF THE POSSIBILITY OF SUCH DAMAGES. IN THE EVENT CBC IS FOUND LIABLE, ITS LIABILITY TO USER OR ANY THIRD PARTIES IS LIMITED TO $50. SOME JURISDICTIONS DO NOT ALLOW THE LIMITATION OR EXCLUSION OF LIABILITY FOR INCIDENTAL OR CONSEQUENTIAL DAMAGES, SO SOME OF THE ABOVE LIMITATIONS MAY NOT APPLY TO USER. 10. Revocation of Access. CBC reserves the right to revoke User’s access to the Site or any use authorizations relating to the Site granted to User. 12. Reviews, Comments, Communications, and Other Content. Visitors may post reviews, comments, and other content; send e-mails and other communications; and submit suggestions, ideas, comments, questions, or other information, so long as the content is not illegal, obscene, threatening, defamatory, invasive of privacy, infringing of intellectual property rights, or otherwise injurious to third parties or objectionable and does not consist of or contain software viruses, political campaigning, commercial solicitation, chain letters, mass mailings, or any form of “spam.” You may not use a false e-mail address, impersonate any person or entity, or otherwise mislead as to the origin of an email or other content. CBC reserves the right (but not the obligation) to remove or edit such content, but does not regularly review posted content. If you do post content or submit material, and unless we indicate otherwise, you grant CBC a nonexclusive, royalty-free, perpetual, irrevocable, and fully sublicensable right to use, reproduce, modify, adapt, publish, translate, create derivative works from, distribute, and display such content throughout the world in any media. You grant CBC the right to use the name that you submit in connection with such content, if they choose. You present and warrant that you own or otherwise control all of the rights to the content that you post; that the content is accurate; that use of the content you supply does not violate this policy and will not cause injury to any person or entity; and that you will indemnify CBC for all claims resulting from content you supply. CBC has the right but not the obligation to monitor and edit or remove any activity or content. CBC takes no responsibility and assumes no liability for any content posted by you or any third party. 13. Indemnity. User agrees to indemnify CBC against any and all claims and expenses, including attorneys’ fees, arising from the User’s use of the Site or breach of the Agreement. 14. Applicable Law. User acknowledges that the Content contained in this Site is controlled in and originates from the United States. CBC makes no representation that any of the Content is appropriate or available for use in other locations. CBC has no responsibility for any access to this web site from territories where the Content may be illegal or otherwise prohibited. Users who choose to access this Site from other locations do so at their own risk and are responsible for compliance with applicable local laws. CBC Defense is dedicated to the fundamentals of protecting your privacy on the Internet. We only collect personal information from our visitors on a voluntary basis. Personal information may include name, title, company, address, phone number, email address etc. We do not require this information to obtain access to any part of our site. The personal information we collect is only used by us to process a request that has been placed or for marketing CBC products and services. We do not sell or rent personal information to other organizations. If you would like to add your name, correct your information or remove your name from our mailing list, please contact us by phone or mail. Please include your full name and phone number in your correspondence in case we have questions. The CBC web server collects the domain names (not the e-mail addresses) of visitors to our web site. This information is aggregated to measure number of visits, average time spent on the site, pages viewed, etc. CBC uses this information to measure the use of our site and to improve the content of our site. CBC Defense web site may contain “links” to other sites, and we make every effort to only link to sites that share our high standards and respect for privacy. However, we are not responsible for the content or the privacy practices employed by other sites.